The photographs, sculptures, videos and performances of Miriam Mihindou are attentive to the body in its relation to nature and a variety of cultures. The artist bases her artistic experimentation around the concept of limit and references that question intercultural relations and fundamental psychoanalytic literature. 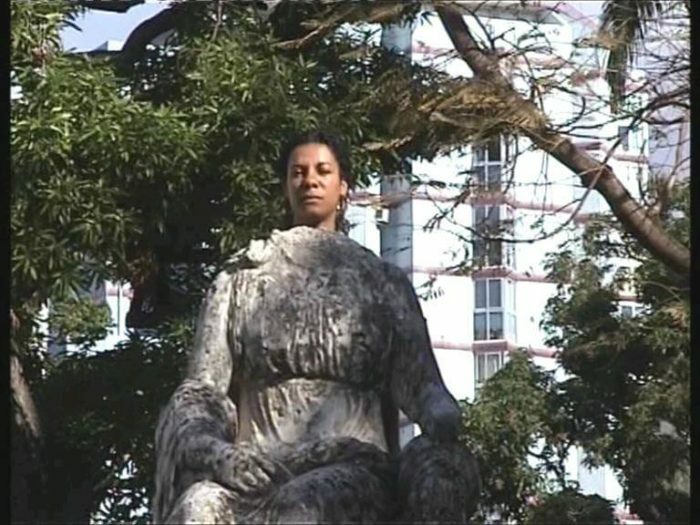 After twenty years in Gabon, then in France, in Egypt, in Morocco, her nomadism pushes her to auscultate all that concerns the body, particularly hers that she makes subject of all kinds of experiments with political resonances. She appropriates spaces and embodies them, giving us to see initiatory and cathartic states of passage. Therefore, the notion of the body refers to memory, identity and territory. This “trans-emotional” production integrates a political dimension that the body of the artwork takes beyond the tangible limits. In her questioning of resistance, Myriam Mihindou accounts for the difficulty of incessant wandering, as the latter generates continuous repositioning, one that makes us grow or die. With Trilogie du détachement, the artiste presents a three-part exhibition that brings together video and photographic installations, and makes both interact.